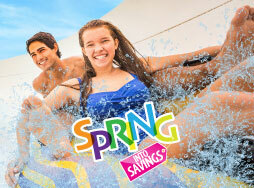 Purchase a Premium Season Pass for only $43.99 and get two Bring-A-Friend tickets for our Spring into Savings Sale! Hurry as this is a limited offer! Purchase a Premium Season Pass for only $43.99, that's only $4 more than a general admission and receive two Bring-A-Friend tickets! Be sure to check out our hours of operation when planning your upcoming visit to Raging Waters! Learn more about our exciting rides and attractions. 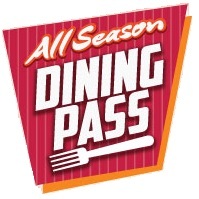 Save on meals all summer long! Looking for the best deals on tickets? We're always here to help our guests. Check out our Discounts page for the latest offers. Find out fun facts about your favorite waterpark! Looking for the best summer job? Join us for a great work experience, flexible schedules and cool perks. You'll make friends to last a lifetime!